CÉLINE introduced the 'Ring' bag for Fall 2015 and it quickly become the 'IT' bag amongst celebrities and fashionistas. 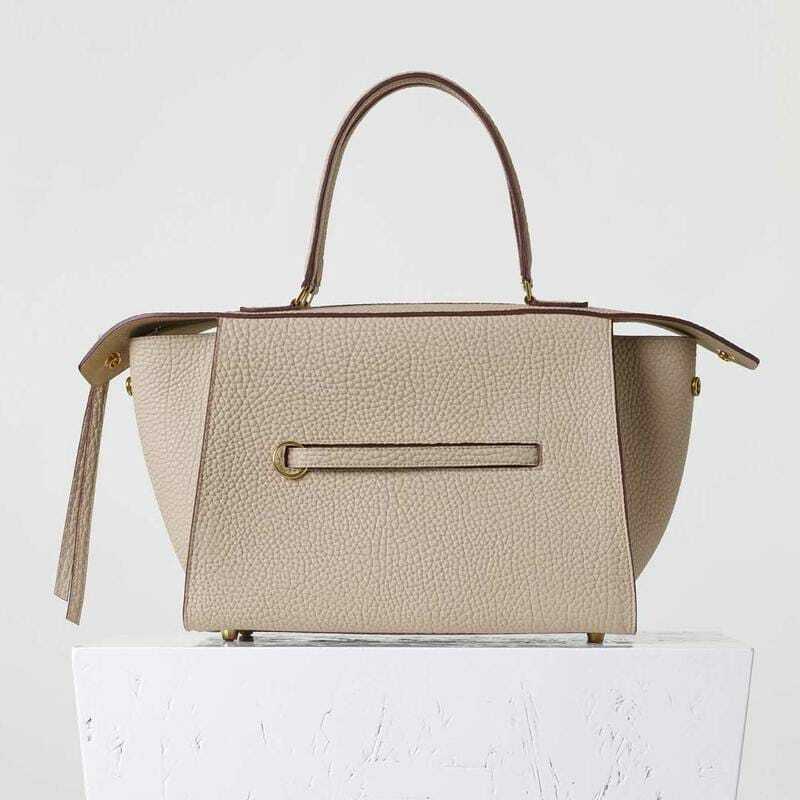 The Ring bag is structured and sleek and what makes this bag stand out as it is so aptly named, is a ring that slides along a leather strap, opening a hidden front pocket that allows you to carry it like a clutch. Its sporty look makes it a perfect bag for work or the weekend.